A stunning platinum wedding band, featuring a single diamond set in the center of the three vertical pattern stripes with a sparkling satin finish polish. A perfect gift for women who prefer a edgy look. This style is also available for men to create a couple's wedding band set. 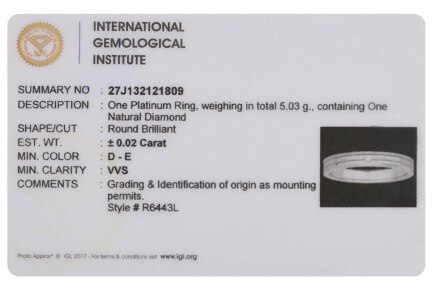 IGI Certificate and the The Mark of Platinum Assurance is available with the purchase.